Heaven knows what lies ahead. As long as I can keep up putting a few words down and continue recognizing others I’ll be happy.I often see old people looking bewildered. Men more so than women. In shopping centres, one notices them being dragged along by still very fit looking wives.To realize they once were those proud bulls, pulling up at their pants, organizing their privates for the next battle. The procreators with ardent passions, ram rod unstoppable fornicators. And now…reduced to pith and pathos, limp and forlorn…so lost in decay and senility, being dragged along, shuffling through the dairy division of the shopping mall. What a vision of the future to behold! I suppose there is justice after all. We die earlier too. Certainly in my own family’s case. Dad dies at 78, a happy smoker till the end having fornicated at least six times. Mum having done the same but wisely a non-smoker, lived till 96. Hale and hearty till the end. Now, there was a woman. She had an incurable habit of doing crosswords and keeping the household expenditure and income. She had a little red book in which all bookkeeping was recorded. Sugar 45c, bread 38c etc. At the end of the day she did balance the little red book. Not a cent would escape scrutiny. She kept that little red book next to the phone. If the amount did not balance she would go over the sums, study the shopping receipts, add it all up again, look inside her purse, recount the amount left over after outgoings, and would not go to bed till it all balanced or ‘klopte’ (Dutch). We used to rile her, it was a family joke, my mum’s obsession with her book-keeping. Yet, it was vital for our survival. Those early years in Australia were financially touch and go. Dad could not care less as long as he could afford his tobacco. He used to put his pay packet under Mum’s dinner plate on a Thursday evening. She would give him his tobacco money. And that was that. Year in year out. Love has many ways of being expressed. Mum’s satisfaction of her little red book being in balance before retiring to bed. My dad in the knowledge that all was well , exhale his last nicotine laden breath before going to bed also, next to his wife and in a normal double bed. No queen or king size. 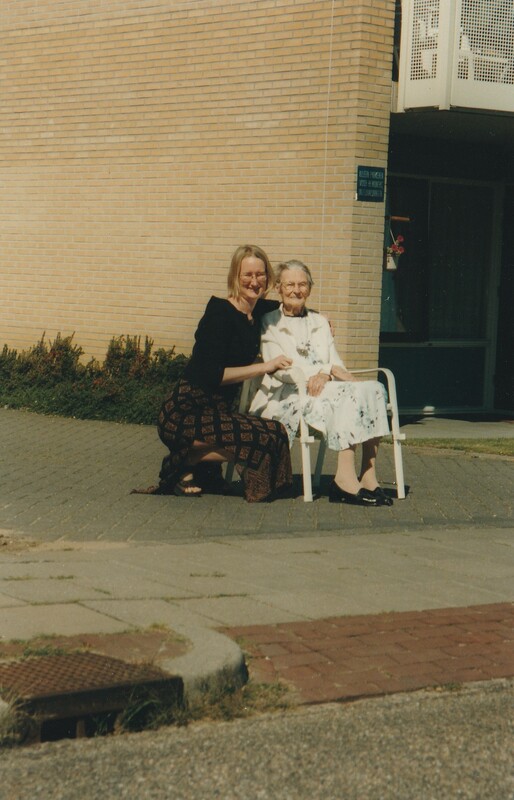 Every time I visited my mum in Holland after dad died it was a sign of her spirit and determination to keep going, that she still had her little red book next to her phone together with the crosswords. Confession of a reformed smoker. Our first house in Balmain on harbour-waterfrontage bought for $12.500,- around 1968. My first smoke was enjoyed by inhaling burning tobacco through a grass halm stuck into a hollowed out acorn. This pipe was handmade by me and the beginning of a promising artistic career. It was a primitive implement but it did work. That first draw was probably coughed out but I was hardened in persisting by the daily cod liver oil unguent given by my mum at earlier years. I was immensely proud of my resourcefulness even though the idea most likely came from other sources. I might have been about twelve or thirteen. A good age to explore. One can never be too young. A burning need the mother of all inventions. From memory, my parents bought me the first real cigarettes in a packet of ten. It came after the pipe period. I am not sure what the occasion was. Perhaps a birthday or pure generosity of my parents wanting me to feel they thought I had reached a level of maturity cusping into an adulthood. We could question the wisdom but not the love of my parents. Smoking was almost obligatory and even doctors were quoted as promoting smoking in advertisement. Smoking was healthy. All movies showed smoking. I remember tapping the cigarette on the packet first before lighting up, with the élan of an Eva Gardner or even Humphrey Bogart. 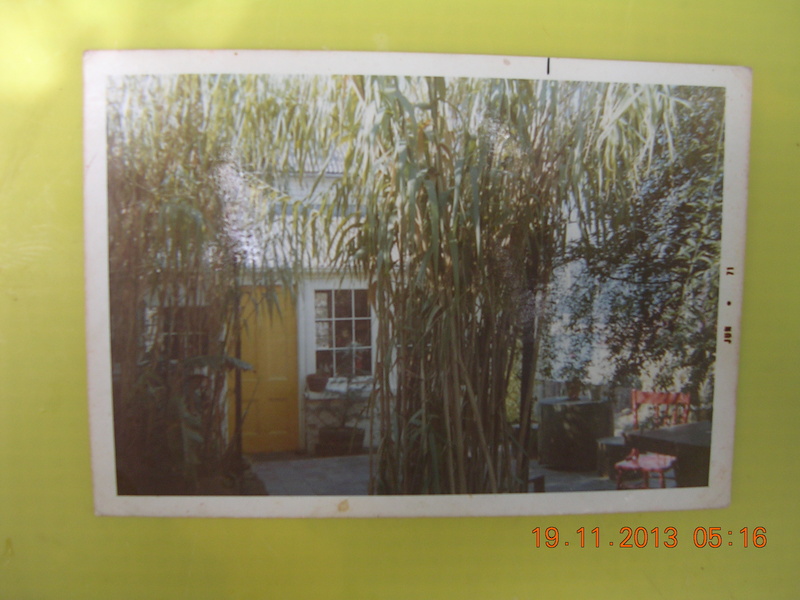 It all happened while our family of eight lived here in a typical Dutch street in The Hague; We lived on the top storey and it had three bedrooms. Look closely at the steps going up! There were four entrances at the top of those stairs. After the milkman shouted his presence my mum would shout back the number of litres she needed for that day. At the bottom of our internal stairs a bucket had been placed the previous night by dad. The bucket was enamel green in colour and covered by a cotton cloth. The same bucket used during the war to get soup from the communal soup kitchen! The milkman would then scoop the milk into the bucket and would do the same to all the occupants of the building at the top of those slated stairs leading to four apartments. As the smoking got hold of me and not being able to fund the habit as readily as I would like, I had taken to buying single cigarettes with coins secreted away from out of the churches collection scoop. This scoop was connected to a long pole that would do the rows on Sunday church. I would put buttons in and take coins out. Many schoolboys would drop into the tobacco shop that smelt deliciously of rich cigars and pipes. We would light up in secret underneath stairs. There must have been some concern though, why did we try and hide it? It was a normal practise to do it in secret. It could be that this secretness added spice to this ritual of schoolboy smoking. But let me get back to the milkman. One morning on my way to school going down those slated steps, I noticed an open cigarette paper holding some tobacco resting near the bottom of those stairs. Next to it was the almost full and bulging packet of Douwe Egbert’s tobacco. Was I finally being rewarded for having been so good? I did the washing up and laid the table for dinner. “Gerard is the best boy”, mum used to blackmail my brothers and sister with. Of course stealing money from the churches collection scoop was on a different level of ‘goodness’. Without hesitation I pocketed in one swoop both the ready to roll cigarette paper and the whole packet of tobacco. What a find and how glorious a moment. I haven’t forgotten. However, and here comes the confession, the milkman who was a great aficionado and lover of tobacco, was scooping milk to the owners of the apartment on the right-hand side of those stairs and on the street. ( have a look ) He had just put his tobacco goodies to rest on the slates, ready for a nice reward afterwards. He was out of sight on those stairs going down. I instantly knew and understood the situation but also kept on walking! My heart was pounding. A significant event edged in my conscience. What should I have done? Confess my tobacco habit and dishonesty to the milkman, return sheepishly the tobacco? It wasn’t in me then. I have always wondered since if the milkman had actually taken notice of me walking past. In any case, he would have been astounded discovering his tobacco had disappeared. If he did know who done it; would he confront me, or worse my father? We were a large family with great milk needs, a good customer! Did he chose to just let it go? I avoided eye contact with the milkman since. A year later or so we migrated to Australia. Ps. haven’t smoked for decades. One of those memories that seem to hover around in my obstinately persisting recollection of childhood events is the loveliness of a ‘White Christmas.’ Christmas is so soon after the celebration of St.Nicholaas, (the National typical Dutch event whereby kids behave, but only till they receive their presents, after that it is back to normal and they run riot again), that as with many childhood memories, they often get mixed up or somewhat embellished. For me, the White Christmas was always tinted and coloured by an event, which would have to be one of the most bizarre that any child could ever have hoped for in experiencing. As our lives unroll and routine sets in, it could be said that a kind of yawning repetition at times takes over, hence the relying by me anyway, on seeking respite in childhood events. Here is just one of those. Enjoy. It could never be claimed that my dad was a cook or that domestic duties came naturally to him. He worked, smoked his Douwe Egberts rollies, sat in his ‘easy chair’ and mum had the kids and cooked. However, there was one level of cooking which he excelled in, even though he practiced this just one day a year. It was the art of making a sweet that used to adorn our Christmas tree and from memory was called fondantjes. They are a kind of icy sugary sweet which is infused with a strong rather delicate taste of, in our Dad’s culinary efforts, almond and lemon essence. My dad had perfected this sweet into an art form and he never deserted or diverted away from this. Almond and lemon essence ‘fondantjes’ it would be and it is now etched into my memory as clear as the smell and taste of ‘pepernoten’ at Sinterklaas. Almost as defining of whom I am as the rest of the debris of past experiences. The making of the fondantjes was, as far as I can recollect, my dad standing in our kitchen mixing up sugar, lots of it, with butter into a slurry into which ,like a magic sorcerer’ he would add the almond and lemon essence. The lot was re-stirred, heated and poured into many different metal shapes with holes in the middle. Those metal shapes were, like the rest of the Christmas paraphernalia kept in a box underneath my parents’ bed. I know this because as a kid I was insanely curious about the world I happened to be born into and used to spy around our family house hoping to find magic and secret discoveries of some forbidden kind giving, hopefully, some meaning to my life. Together with the metal fondant moulds under my parents’ conjugal bed were also collections of metal spring loaded clips which would be used to clamp real candles onto the spruce tree. The Christmas tree in Europe is or was real spruce and not mere pine. Now-a-days they are most likely to be those universal type trees of which we screw in metal branches, stored in flat packs while not in use. Everything gets debased and becomes so much uglier as the years go by. I noticed a new updated version. It works like an umbrella. Just push a button and the tree pops up, decorations and all! On Christmas Eve, dad ceremoniously and with some typical Dutch paternal authority would announce for us kids to assemble in the lounge room as he would now put up the tree with the hanging of decorations, the kids would be needed to hang the fondantjes. Remember they were poured into those metal containers with a hole in the middle? Of course, none were to be eaten. What parent would set children to task dealing with the most aromatic and sweetest of sweets delights and not eat them, I ask? Well, we were allowed to lick the slurry pan’s remnants. Some consolation! He was a good dad. The idea of hanging the fondant was to hide them as much as possible amongst the dense branches of the spruce-tree; nothing must come too easy, a valuable lesson for the future. After the fondant came the decorations and the candle clips with the specially bought candles that would fit into the designated hole of the clip, the same as the strings for hanging the fondant were threaded through their holes. All were suspended from this glorious laden Charismas tree. The desired ‘white Christmas’ happened often. Of course we are talking pre-climate change. Then, Christmas morning were always announced by stillness. Snow was the perfect sound insulator; all was muffled, including the cuckeldee-doo from the Leghorn rooster down at ground zero below us, adding to a special reverential atmosphere. The authentic spirit of Christmas. It took some heroic acceptance years later to admit that, bogong moths, the bikini Bondi surf and the all pervasive smell of stale beer with simmering heat above the susburban asphalt were part of a different Christmas, just as valid (but not quite as lovely for me yet.). The deliverance of the fondant sweets was carefully arranged to last as long as possible and at least as long as the Christmas tree would remain green. A strict rationing was in order. Why not? So many foodstuffs just after the war were still rationed and still needed coupons in exchange. As kids we were happy to have warm socks, bread and both parents to tuck us into a warm bed. The Christmas sweets were an undreamed of luxury. Of course, as the fondants got eaten, carefully and at pre-determined times, the tree all lit up by burning candles still managed to hide remnants of those desirable sweets; they never would stale! But…one day as the tree yellowed and the candles started to burn ever downwards towards their stumpy ends, one of those greedily licked around the bone dry turpentine loaded twig with needles and within seconds our glorious tree caught fire. Total mayhem. My father looked on in total astonishment. This was totally unordered and not allowed in Holland as if this alone would temper the fire and all would come good on its own accord. It did not. As my father spent precious seconds in total inaction, the tree still loaded with the fondant did not. It soon became more than a serious incendiary device, ready to engulf all and everything in its path. Time was of the essence now. Just when everything seemed doomed my dad regained the initiative and sprung into ‘action man’, became the predecessor of Batman. His eyes, something I’ll never forget. My instant Rin Tin Tin hero- man. He opened both windows with one mighty movement in one arm and with the other, with split second precision, grabbed the burning tree, and, (Werner Von Braun would have been so proud)’ hurled the tree like a V2rocket spearheading down to ground zero, fondant and all. He saved our family. Sure there were some protesting cacklings and consternations from the chooks down below. It wasn’t every day that a burning tree would end up in their coup and the rooster did have some singed feathers, but so what. Dad had saved our family. My hero!